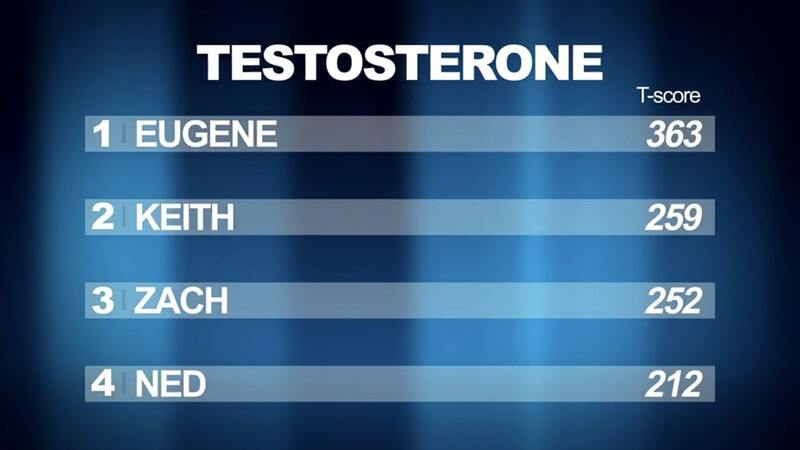 The normal testosterone level for an American male is a range anywhere from 270 to 1070 ng/dL with an average of 679 ng/dL. 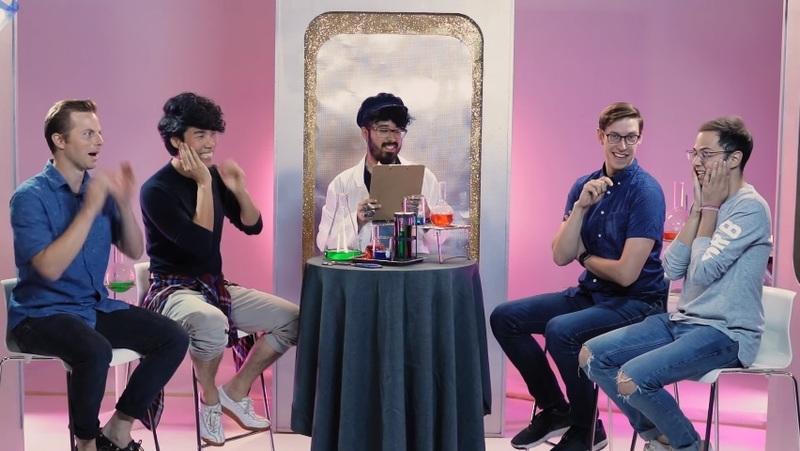 Eugene, the Asian guy, was the only one of them to have normal testosterone levels, though he was on the low end of the normal range. 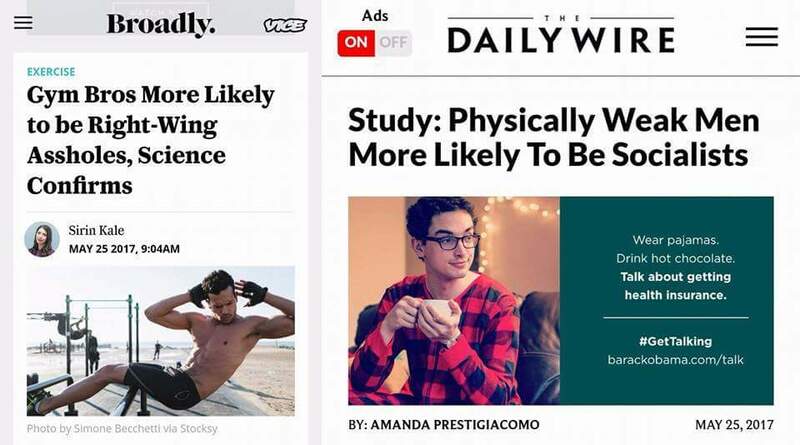 Studies have shown men who are physically strong are more likely to be right-wing, while weak men are more likely to be left-wing socialists. I must say these results are truly shocking.